Up to nearly 2 cm in size, and commonly called backswimmers because they swim upside down and are often seen at the surface of the water. Notonecta maculata is light brown in colour with a number of dark markings and large reddish eyes. It is distinguished from other members of the genus by mottled brick-coloured forewings. It often looks silvery as air becomes trapped in a layer of bristles covering the lower surface. The powerful oar-like hind legs are modified for swimming; they are long, flattened and fringed with hairs. Backswimmers are predators that attack prey as large as tadpoles and small fish. The forelegs, which are short and strong, are used for grabbing prey. 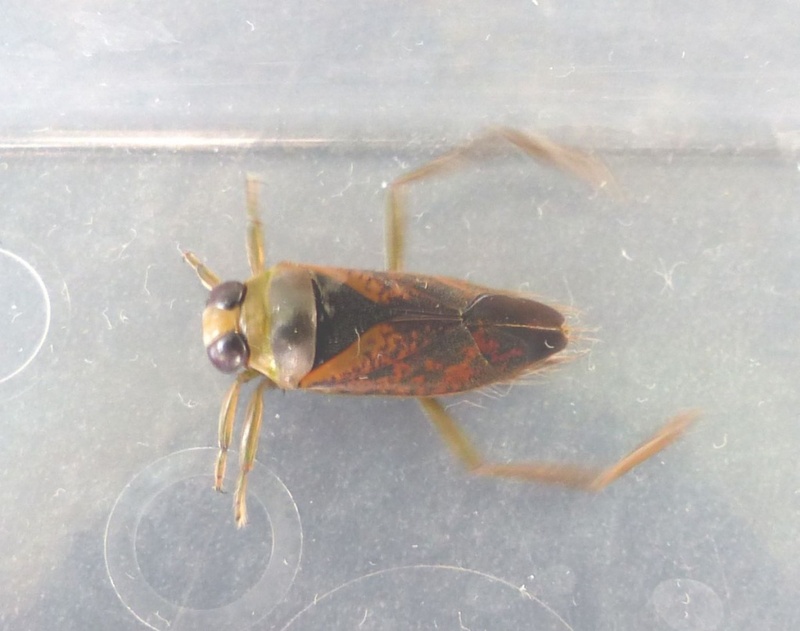 Widespread but less frequent than the Common Backswimmer, Notonecta glauca.